Kevin Harvick and the No. 4 Mobil 1 Ford Fusion team for Stewart-Haas Racing (SHR) are hungry. They have been the leading contenders since they formed prior to the start of the 2014 Monster Energy NASCAR Cup Series season and this year has been no exception as they have devoured seven points-paying wins, 20 top-five finishes, 26 top-10s and 1,682 laps led – all series bests this season. The Mobil 1 squad is even hungrier this week as it heads to Texas Motor Speedway in Fort Worth for Sunday’s AAA Texas 500 and the penultimate chance to race their way into the Championship 4 of the 2018 Cup Series playoffs. Harvick is returning as the defending race winner after ending his career-long Texas drought last November in his 30th Cup Series start at the 1.5-mile oval, clearing his mind to contend for the win again this year. Harvick won in dominating fashion on the final laps a year ago this weekend, passing Martin Truex Jr. to secure his spot in the 2017 Championship 4 – a performance he would like to repeat Sunday. 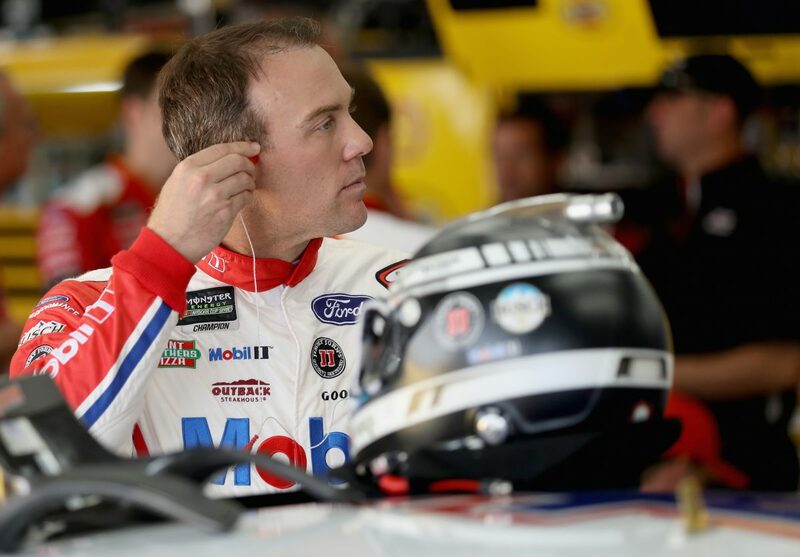 And, with the iconic red, white and blue colors of Mobil 1 emblazoned across Harvick’s hood, he and his team should believe he can achieve nothing less. Mobil 1 was front and center on the No. 4 machine all the way to the checkered flag at Texas last year, and it’s back again for the 2018 edition as the team attempts to recreate the victory scenario securing its spot at Homestead-Miami (Fla.) Speedway. Harvick and the No. 4 team expect to benefit from SHR’s technology partnership with Mobil 1, which is a unique combination of experience, expertise and innovative thinking that strives to consistently deliver performance-enhancing results on the track. Mobil 1 works to reduce engine temperatures and to increase engine efficiency. The products allow the No. 4 Ford to reduce rolling resistance, which contributes to increased acceleration on restarts on the way to reaching top speed. Mobil 1 continues to perform rigorous testing with the SHR teams to improve on-track performance, including the reduction of frictional loss in the engines to maximize fuel mileage, increase horsepower and turn more rpm. The Mobil 1 products reduce friction in the suspension components, as well, providing maximum tire grip and helping to reduce steering compliance to give precision control and improved handling for Harvick behind the wheel. Mobil 1 provides the products to make the No. 4 Ford operate more efficiently and the proof is in the results. In the last nine races at Texas Motor Speedway since Harvick and the No. 4 team joined forces, they have scored a series-best 346 points, six top-five finishes and eight top-10s. They also have record a win, Busch Pole and 313 laps led and an average finish of eighth. Joey Logano of Team Penske already punched his ticket to the Championship 4 at Homestead, after securing a win last Sunday at Martinsville. Entering the AAA 500, Kyle Busch of Joe Gibbs Racing holds a 46-point advantage, while Martin Truex Jr. and Harvick each hold a 25-point advantage over fifth-place driver and SHR teammate Kurt Busch for the final transfer spot. A win this weekend at Texas would secure Harvick’s position in the winner-take-all, Championship 4 round at Homestead-Miami Speedway and give him a shot at his second Cup Series championship – and Harvick is hungry for that opportunity. The first playoff race was won by Joey Logano, so now the ‘Big Three’ are the final three in points ahead of the cutoff position. What does that do to the dynamic moving forward? The playoffs are made for clutch moments. What does it mean to be clutch and what moment do you think defines that.